*This review contains some spoilers if you haven't read If I Stay. Goodreads says, "It's been three years since the devastating accident ... three years since Mia walked out of Adam's life forever. Now living on opposite coasts, Mia is Julliard's rising star and Adam is LA tabloid fodder, thanks to his new rock star status and celebrity girlfriend. When Adam gets stuck in New York by himself, chance brings the couple together again, for one last night. As they explore the city that has become Mia's home, Adam and Mia revisit the past and open their hearts to the future - and each other." It's three years after the horrific accident and readers reunite with a very different Adam who is now living the dream as a successful rock star. He's got everything he thought he ever wanted....money, a hot celebrity girlfriend, his band's amazing success, but there's something missing. Even though he is out of his bedridden depression over losing Mia, sadly, he still can't deal with the stress of his life without medication. While in NYC, he comes across an ad for Mia's performance and decides last minute to attend. Word gets around that rock star Adam Wilde is attending the performance, so Mia asks him to come backstage. Mia and Adam reunite for one night and finally talk about things after not seeing each other for three years. Where She Went, Gayle Forman's sequel to If I Stay, captured my heart. Granted Where She Went didn't capture it the same way If I Stay did, but it easily became of my favorites books of 2011. First, I must recognize how much I love Forman's writing style. 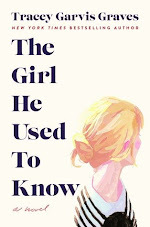 I'd say that after Jenny Han, I like her style the most. It's incredible and as far as I'm concerned she is one of the best young adult contemporary authors out there. When I first heard that this novel was going to be written from Adam's point of view, I was worried since many young adult authors struggle to capture a guy's perspective; however, I remembered this is Forman we are talking about. DUH! She's brilliant. Where She Went explored many deep issues as only Forman can, but what really spoke to me is the fact that Mia and Adam's meeting was, essentially, by chance. Forman never makes things unrealistic and Where She Went is believable, even up to the ending. For me, realistic fiction MUST be believable and Forman accomplishes that. I also love how Forman has her characters deal with grief. It's all so very real and complex, but never overwhelming or tedious for us readers. The characters are so very memorable. I read If I Stay awhile ago and Mia's story is one that I often think about and STILL discuss with bookish people. It's not a tale that you simply forget about and the same goes for the characters. What really tugged at my heartstrings was how Forman included a few flashbacks to when Mia's parents and brother were still alive. 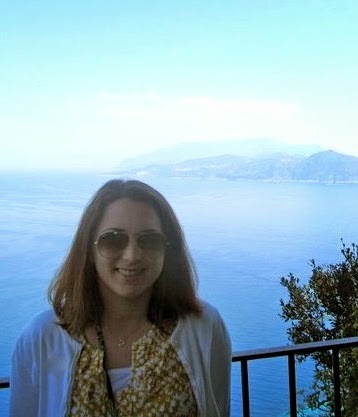 Like special memories, I just wanted to live in that scene over and over again and bask in its comfort. Also, Forman included lyrics from Adam's music, which I thought was especially creative and added that something special to Where She Went. Not only were the lyrics exceptional (they actually sounded like real music, not like the fake lyrics that authors sometimes come up with....you know what I am talking about! ), they also reflected what Adam was going through at the time. I loved them! All in all, Where She Went is easily one of my favorite books. I couldn't be happier with where Forman took Mia and Adam's tale; she never disappoints. 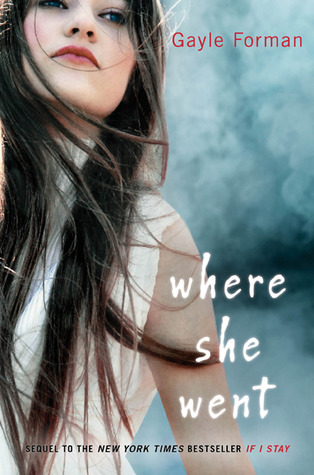 If you've read If I Stay, you MUST pick up a copy of Where She Went. It's just as powerful and memorable as If I Stay, but in a whole different way that I didn't even know was possible! I love this review! I loved If I Stay so much, and I really can't wait to read this one, even though I'm sure it will make me cry! I haven't read If I Stay yet! Your review makes me really want to! Thanks for such great insight. I'm afraid I'm going to cry my eyes out though! Great review! It sounds good but sad. I don't do "sad" books. Great review! I personally, liked If I Stay more than Where She Went...I don't even have a really great reason. I cried WAY more during If I Stay and it's a book I'll remember more. Oh yeah, I'm not saying Where She Went is horrible, just that I liked If I Stay more! haha.